Apeel Sciences, a World Economic Forum Technology Pioneer and one of TIME Magazine’s 50 Genius Companies, and Nature’s Pride, a European company dealing in avocados and mangoes with a focus on sustainability, have officially joined forces. 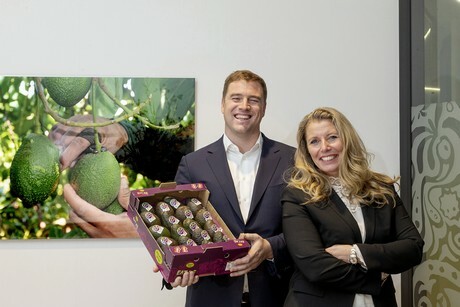 Subject to EU regulatory approval, Nature’s Pride plans to integrate Apeel’s plant-derived food waste prevention technology across its expansive avocado value chain, which will bring Apeel Avocados — avocados with double the edible shelf life on average — to European households for the first time. The Apeel and Nature’s Pride partnership comes at a time when food waste in Europe has reached a staggering 88 million tonnes annually, with associated costs estimated at 143 billion euros, and builds on Apeel’s successful introduction in the U.S., where the technology has demonstrated a greater than 50% food waste reduction at the retail level. As part of the partnership, Nature’s Pride and Apeel Sciences will introduce a co-branded label, a signal to consumers of quality, sustainability, and longer lasting freshness, and thus, less food waste, made possible by Apeel’s technology. “We put the health of people and the environment at the heart of all we do. We are constantly looking for improvements in our value chain to provide our customers with the highest quality and most tasty products. With Apeel, we share the same values: we are both pioneering and passionate about reducing food waste, and we want to work collaboratively with others to solve this problem. This makes Apeel the ideal strategic partner for us. We look forward to reducing food waste, unlocking new value for everybody in the supply chain, and growing the fruit and vegetable business with all of our partners together.” said Adriëlle Dankier, chief commercial officer of Nature’s Pride. • Mike Tucker joins Apeel as Team Leader of Buyer Relations, overseeing the group who will work with retailers and wholesalers to grow existing Apeel programs and introduce new Apeel products to the market. • Michele Visser returns to the produce industry as the Director of Supplier Relations for Apeel where she will work closely with the grower–supplier community to implement joint go-to-market strategies that unlock the value of Apeel. • Chayla Balko joins Apeel as a Senior Account Executive on the Buyer Relations Team. She brings over 15 years of experience in the food & beverage industry, working with retailers to build winning sales strategies. 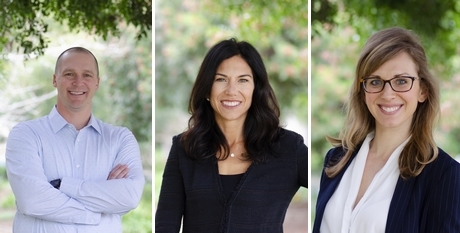 From left to right: Mike Tucker, Michele Visser and Chayla Balko. Fresh food producers and retailers interested in Apeel’s technology can get in touch via the Apeel business form. To discover U.S. grocery stores that carry Apeel produce, please use Apeel’s store locator.